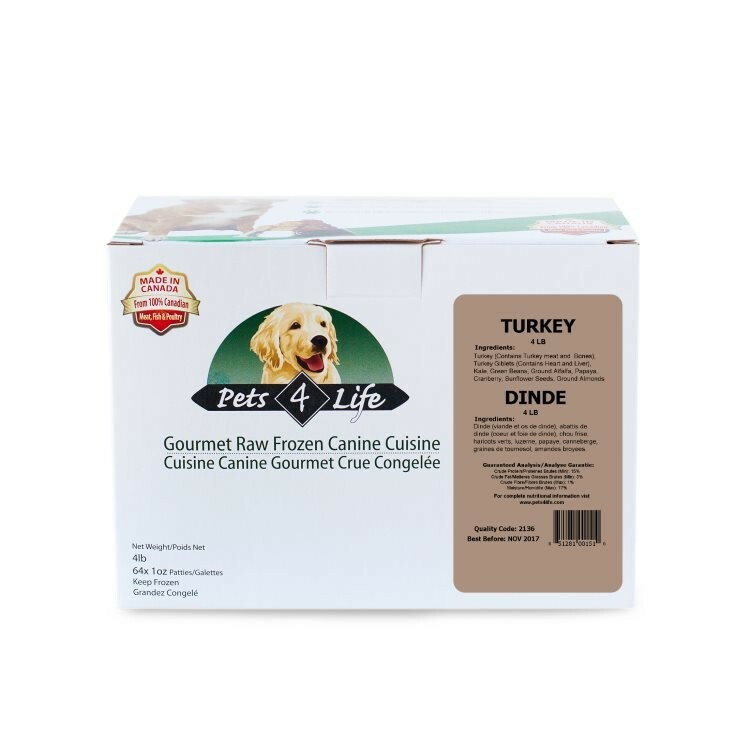 Pets 4 Life Turkey Formula is made with the finest, Grade “A” Turkey you can buy. We start with top quality, fresh, Ontario grown and raised hormone free Turkey . Then we add fresh, locally sourced fruits and vegetables, and all natural, organic supplements, sea vegetables and herbs. It all adds up to most complete and balanced raw diet you can buy for your dog. Turkey (Contains Turkey and Turkey Bones), Turkey Giblets (Contains Turkey Heart and Liver ), Kale, Green Beans, Alfalfa Sprouts, Papaya, Cranberry, Sunflower Seeds, Ground Almonds.